Are you looking for a fun yet effective way to teach your kids different alphabets? If yes, Alphabetimals is an amazing website to teach your kids about alphabets and animals at the same time – that’s where the word “alphabeti-mals” has been derived from. Your students can even type their names in Alphabetimals, or download free flash cards and coloring pages. On first glance I thought the site was just another ‘kiddie’ page without any real content or substance. However, a few clicks told another story. I found myself giggling at the well done illustrations and sound bytes of the letter, animal, and the animal sound. Yes, it is a learning site, and yes, it is a fun site – even for older children-like me. Give the site a look. I don’t think you will be disappointed. I found this new reading site that looks like a real ‘keeper’. Reading Bear, a project of WatchKnowLearn.org, is a free program online to teach beginning readers vocabulary and concepts. Reading Bear – is an educational project created by Wikipedia’s co-founder, Larry Sanger, that aims to teach young readers about vocabulary and the concepts of English. At the same time, the student is introduced to the main phonetic patterns of written English. All of this is done with the help of some creatively crafted media. I recommend all elementary teachers take a look at this great resource. It will be worth your while! I recently re-read a book that belonged to my daughter. As I remember, it was one of her favorites. She certainly quoted it enough. It was an eye opener fifteen years ago and I believe it’s even more potent and relevant today. 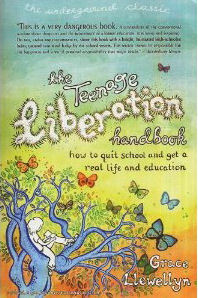 ” The Teenage Liberation Handbook; How to Quit School & Get a Real Life & Education” is a book I think every educator, administrator, classroom teacher, and parent should read. The author, Grace Llewellyn, has some very pointed things to say about our education system, not the least of which is that education is all about control, and not teaching. Ouch! While I did not entirely agree with everything the author said, it did, on nearly every page, make me think about the real message I was sending to my students. I challenge you to give the book a try, and tell me what you think. Even if you think the premise is all smoke and mirrors, it is a good read and offers a different, and very compelling, point of view that we should all be aware of. Just for the record: I thought it was a great book, and mostly right on target. Teachers are always looking for ways to interest and motovate students to read more. We know that students all to often judge the interest level of a book simply by the title or cover art, and miss the chance of a really good read. Of course, adults are guily of judging a book by it’s cover as well, but are exempt from this conversation because we really do know better. ‍Book trailers are often mentioned in both education and literary circles around the web. Book trailers are kin to movie trailers. Book trailers are short videos previewing the plot and characters of a book and can have a great impact on motovating viewer interest. I can not think of a better way to connect todays kids with books. 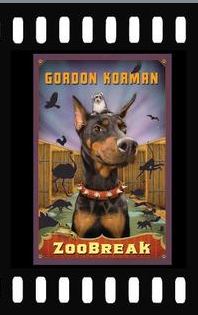 A great place to start connecting kids to book trailers is Book Trailers for Readers. The wiki site even has instructions on how to create your own classroom book trailers. If you don’t check out this Wiki site you are not doing yourself any favors.